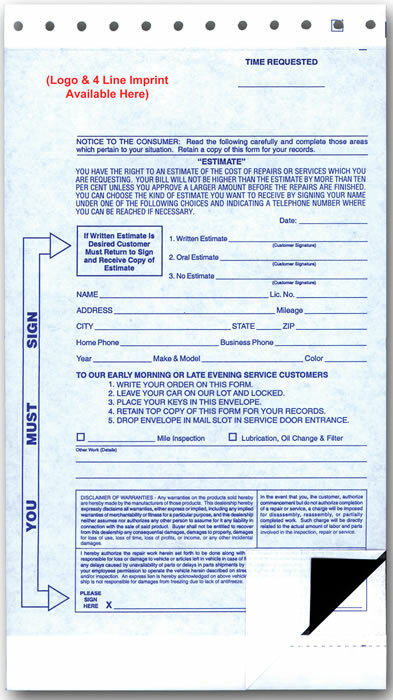 Item Size: 10-3/4" x 6"
This Automotive Night Drop Envelope is for states that require a 2-part form which allows the customer to keep a copy after filling out the envelope. These are sold both as a generic stock form and imprinted for personalization. When choosing the personalization option, please allow an extra 7 to 10 working days for production. We will email you a PDF proof for your approval before production begins. Please feel free to call us at any time with questions.